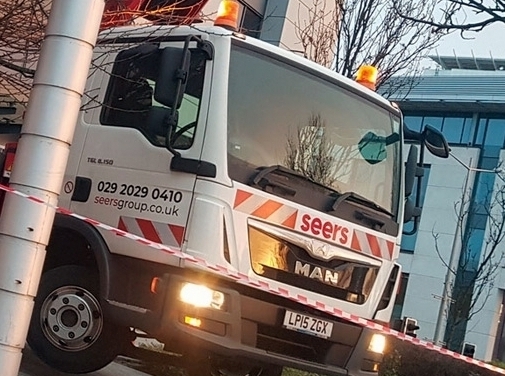 Seers Support Services Ltd specialise in providing a wide range of high quality access, cleaning and maintenance services for customers in South Wales & The West of England. Based in Cardiff, our building cleaning services include window cleaning, gutter cleaning, pressure washing, doff cleaning, render cleaning, roof cleaning and cladding cleaning. We also offer cherry picker hire services and have a fleet of access platforms including truck mounted cherry pickers, spiderlift cherry picker, scissor lifts and mast booms. All our access platforms are available to hire on a machine only basis or complete with one of our IPAF qualified operators. Visit our website for more information on our full range of services and to find out more about the high access platforms hire. UK (Cardiff) based business providing access equipment hire, cleaning and maintenance services. Website includes details of services provided, accreditations gained, work examples, testimonials, associations belonged to, details of business premises, full contact details.